Yep, Disney fan makes me a Star Wars fan...actually I was that years before Disney bought LucasFilm. After enjoying some of the other Disney and Marvel Art of books, I had to add The Art of Star Wars The Force Awakens to my Between Books collection. 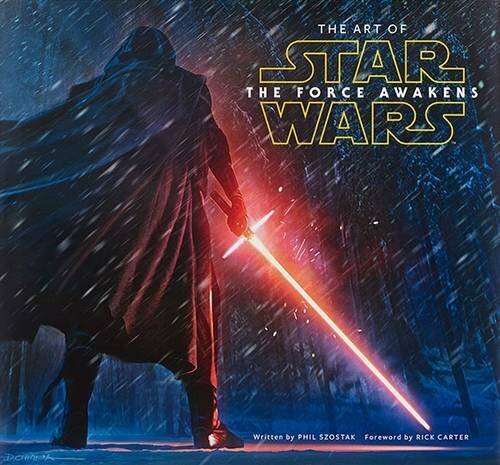 The Art of Star Wars The Force Awakens by Phil Szostak guides readers through the development of Star Wars The Force Awakens. The book is a visual guide to the creation of the film from pre-production, into filming and finally post-production. Readers will discover a very different story as early versions of the film focused on Kira and Sam, not Rey and Finn, with Jedi Killer in the place of Kylo Ren. While Szostak provides text that describes the formation of the film it is really the pictures that highlight the story of film production. Readers can spend hours exploring the pictures, contemplating the ideas that did and did not become part of the finalized film. The Art of Star Wars The Force Awakens is truly an enjoyable and fun read. I read it twice. One read was with the Between Kid, as we mostly focused on the pictures and discussed images and ideas that moved forward. For my second read, I slowed down reading the text which really discussed how ideas evolved. Readers come to understand how loose the production of a film can be. LucasFilm unleashed a team of visual artists to create concepts, many of them strikingly beautiful but unused. And these images helped to progress the story, not just Disney's and J.J. Abrams revisions to the original George Lucas script. Many of the visuals are literally what if ideas, ones that would be fantastic to see in the future. It also becomes clear how Ralph McQuarrie, the original Star Wars visual designer inspired a new generation of artists in both how they dreamed and how they copied much of his own work. Star Wars fans need to read The Art of Star Wars The Force Awakens. It is a fantastic look into film making and the creation of 2015's biggest film. It is personally a must have for Disney/Star Wars fans who want to know more about how the new Star Wars films are created. After reading The Disney Way Third Edition, author Bill Capodagli agreed to take a few questions about the book and Disney management that were inspired by the book. Between Disney: I have read a lot of Disney management/business books, but this one really seems relevant to the non-Disney fan. For the non-Disney fan who might think of Disney as a Mickey Mouse affair. Why should the non-fan care about the Disney Way? 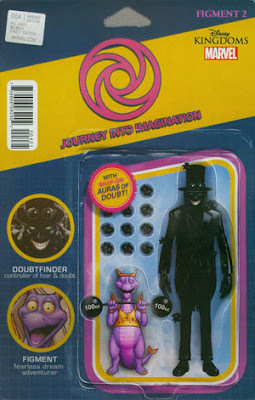 Between Disney: I really resonate to the partnership materials in the book. Disney really seems to operate best when a strong partnership is in place with Walt/Roy, Eisner/Wells Lasseter/Catmull. How can we foster this type of relationship building in our own workplaces? Between Disney: I recently storyboarded to get ideas. I was struck by the power of this tool. But what I am really wondering what common qualities do you see in leaders willing to open themselves up to a leadership storyboard? Capodagli: Leadership storyboards are beneficial when a leader is open to changing his or her ineffective behaviors based upon team feedback. Between Disney: I work in a volunteer position where I provide leadership and a clear vision. But sometimes the vision gets lost to the work. How can I reinforce the dream, especially with a non-paid and low-paid staff? Capodagli: Any leader who is responsible for a team needs to continually reinforce the vision, “dream”, or story at every opportunity including team meetings and company events. These critical cultural elements must be included in an organization’s hiring process as well as communicated to vendors, stockholders and other stakeholders. Between Disney: You focus on start-ups in your examples of using the Disney Way throughout the book. What about the culture of a start up opens them to using this model? Capodagli: The beauty of a start-up organization is that they have a “blank sheet of paper” for creating a culture. When an organization has been in existence for years or decades, asking employees to embrace a new set of values can be challenging. So, establishing the core values at the outset is the best scenario to achieve long-term success. Thank you very for your time and your additional insights into The Disney Way and how we can Dream, Believe, Dare, Do in our own business and personal lives. Bill Capodagli and Lynn Jackson in The Disney Way: Harnessing the Management Secrets of Disney in Your Company Third Edition summarizes the keys of Disney management success into these four seemingly simple words. The authors take readers through each key word in their model explaining how to practically make each action verb something that can be replicated in a manager's specific setting. To make these words real, the authors explain their context within Disney history and how non-Disney companies have made these concepts their own. They show readers how Dream is really about creating culture and providing employees a vision. For Believe they demonstrate how managers can create buy-in and alignment to the accepted vision by using tools to align action with vision, valuing customer interaction within the dream and making forging durable partnerships. The authors encourage their readers to take risks in Dare. 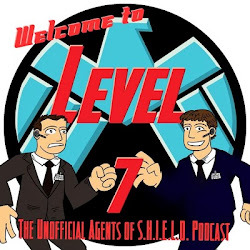 And finally in Do they discuss the role of training, planning, and even measuring success. Within the book the authors provide numerous tools such as Storyboards and Vision Alignment rubrics to support the eager manager. The past editions of The Disney Way have stood the test of time. And I expect this book will also. The third edition is clear, practical and provides tools that managers can use in aligning their operations to Dream, Believe, Dare, Do. In some cases this will require a culture change. For examples, which the authors provide numerous non-Disney examples throughout, they decided to update the text with examples of companies that are in the start-up mode. This allows the authors to show how young companies or those in transition have been able to adopt these four little words. The book while well-written is really a management book. The text would be relevant more to the manager than the non-manager amateur Disney fan. As the management content is probably the most interesting to managers and aspiring managers. However, the Disney content is well balanced and likely of interest to anyone in a management position. As a Disney fan/manager, I found the book both useful and interesting. Still, I would have no problem recommending it to non-Disney addicted colleagues. For me the chapter on partnerships really stood out. I am interested as I have mentioned before in Roy O. Disney and how he successfully worked to support his brother’s dreaming and innovating. And as one reviews Disney history and considers the numerous partnerships from Roy/Walt, Eisner/Wells, Catmull/Lasseter it is easy to quickly realize how powerful a partnership is to making Believe happen. And it becomes easy to see how as the authors point out, partnerships enable an individual to expand their horizon and effectiveness. As mentioned the text includes a number of tools that managers can use. The Storyboard tool and its variations appear highly useful in gathering information and making sure that everyone can participate in the decision making process. However, I will say that the Leadership Storyboard definitely appears to be something that is not for the faint of heart. 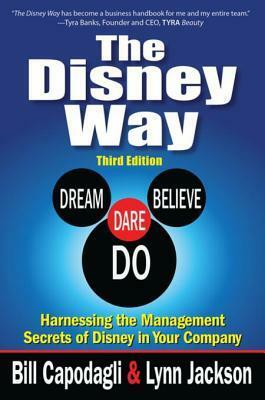 The Disney Way: Harnessing the Management Secrets of Disney in Your Company Third Edition is a clear and useful management book grounded in Disney company history. It provides a clear model in Dream, Believe, Dare, Do that is easy to understand for all managers. But best of all the authors provide tools to make a model which can appear highly philosophical, realistic.